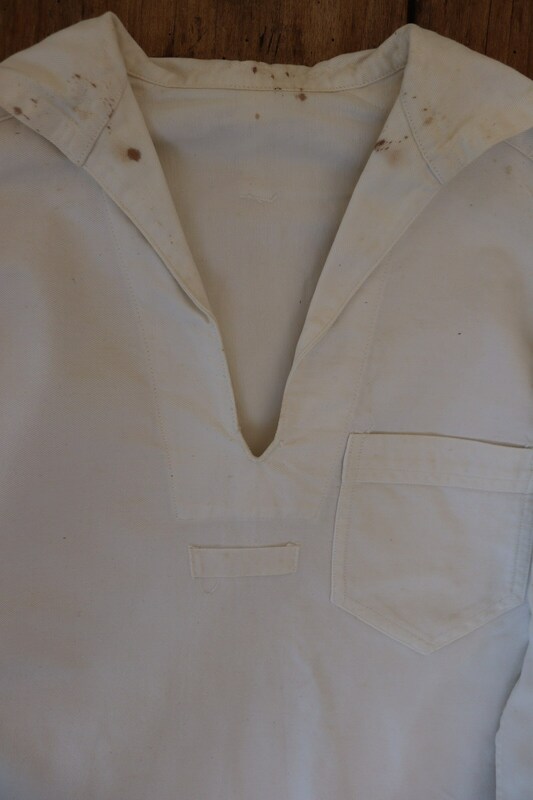 A white cotton crackerjack top dating from the 1950s. 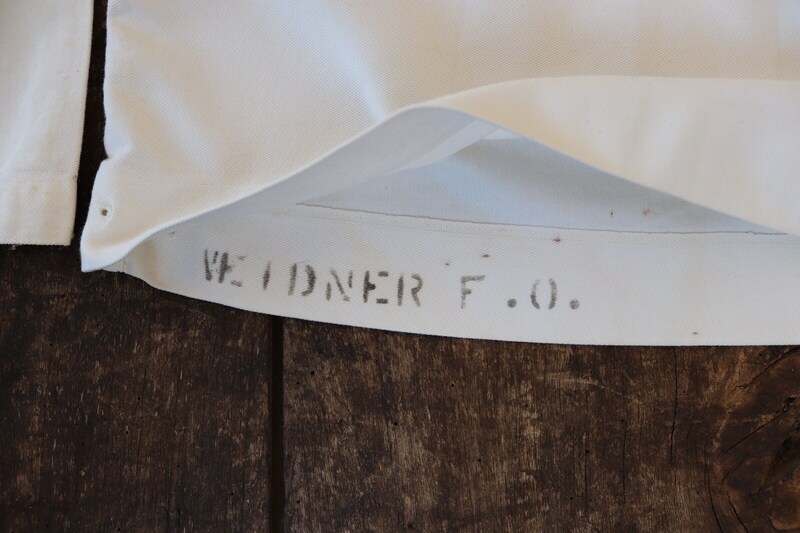 Noted flaws - marking, spots and yellowing throughout - please see photos. 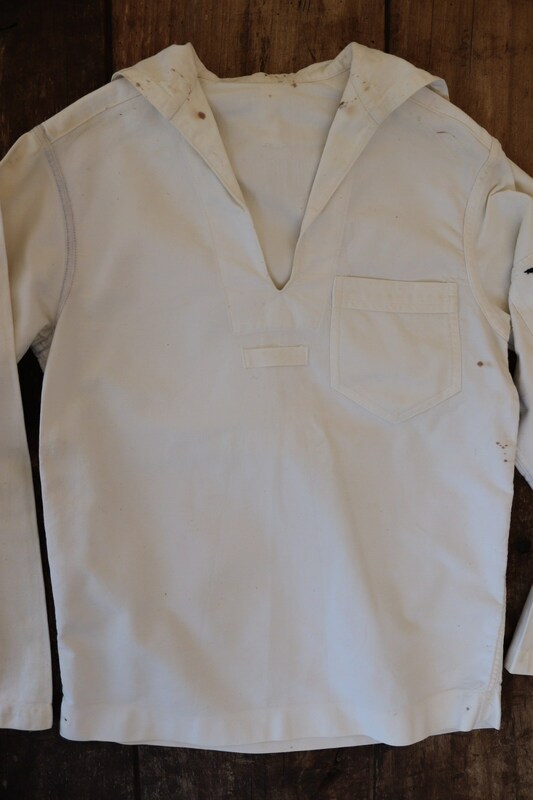 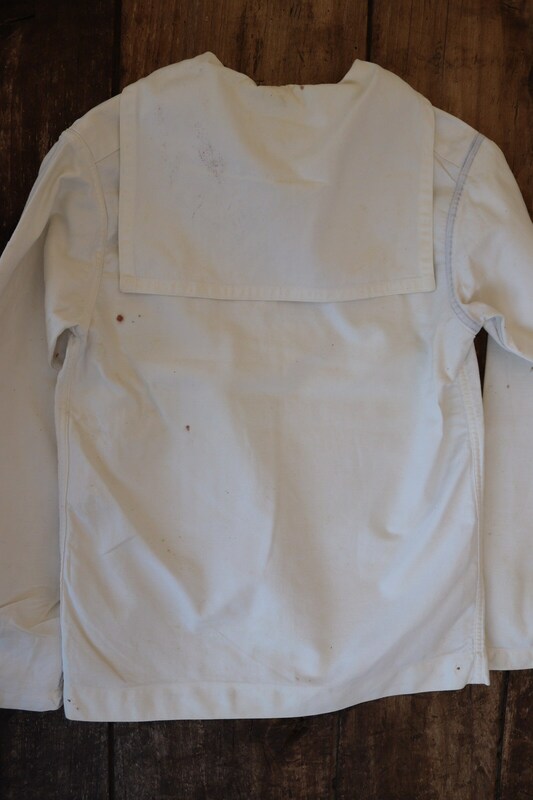 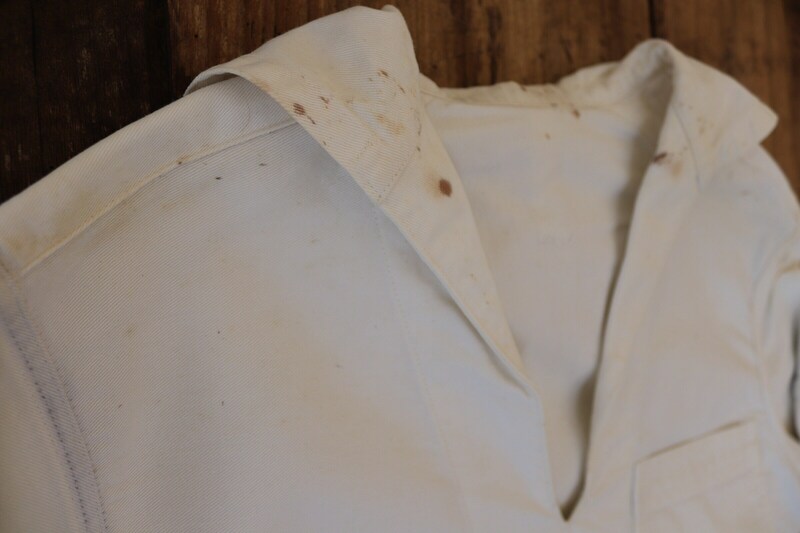 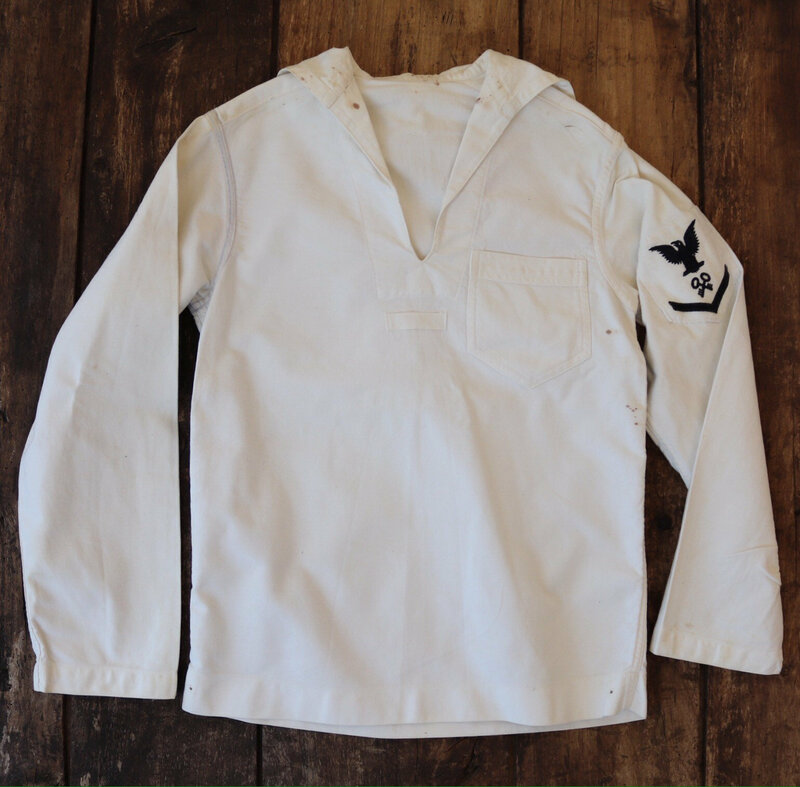 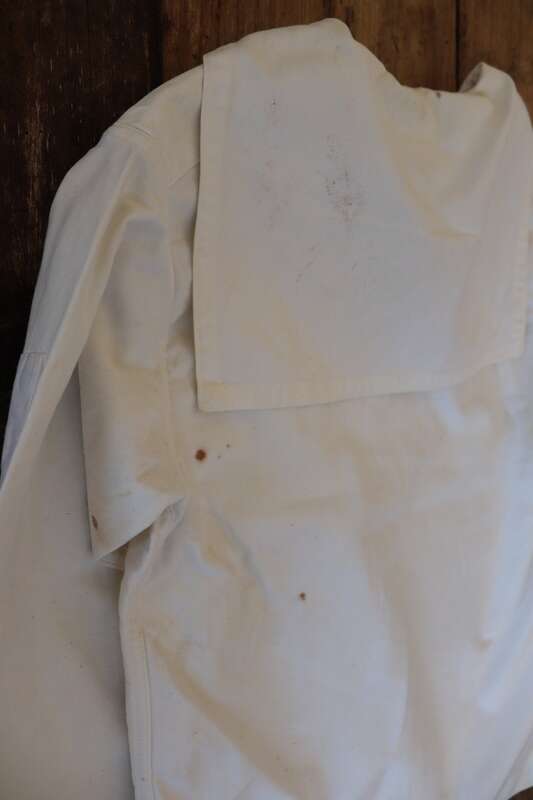 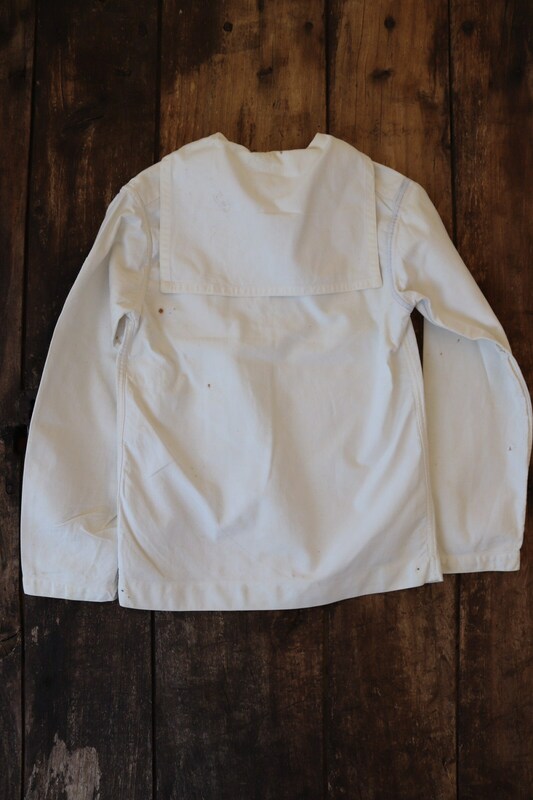 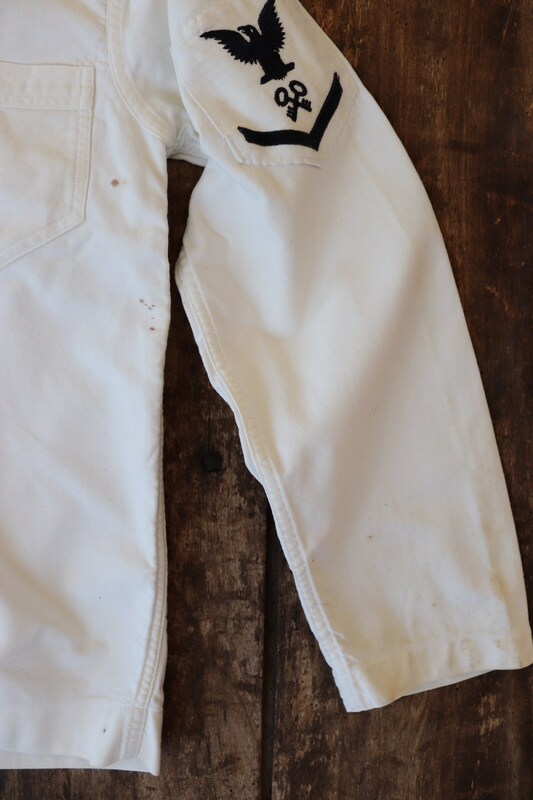 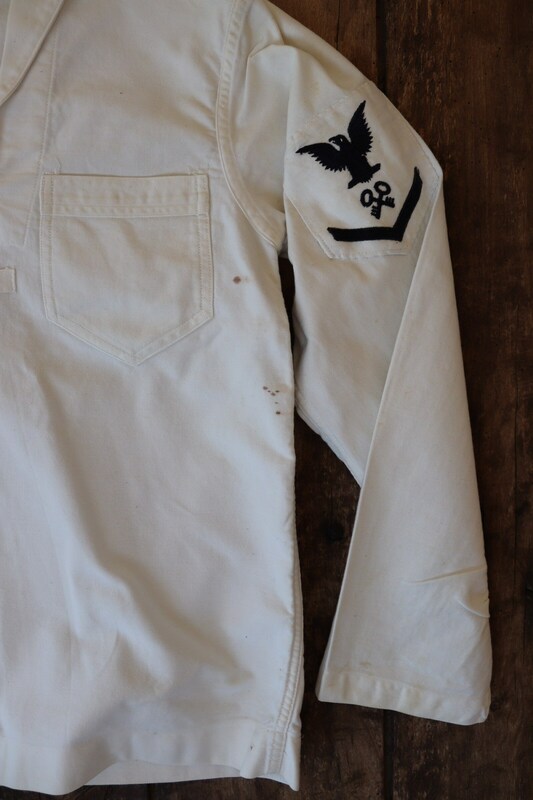 It has been freshly laundered, so it is clean, but the marks are still visible, name stamped on the inside hem, back bib, thick cotton, great quality, suitable for men or women.